Yesterday August 15th, Christopher had an item on S4C’s magazine programme, Heno. 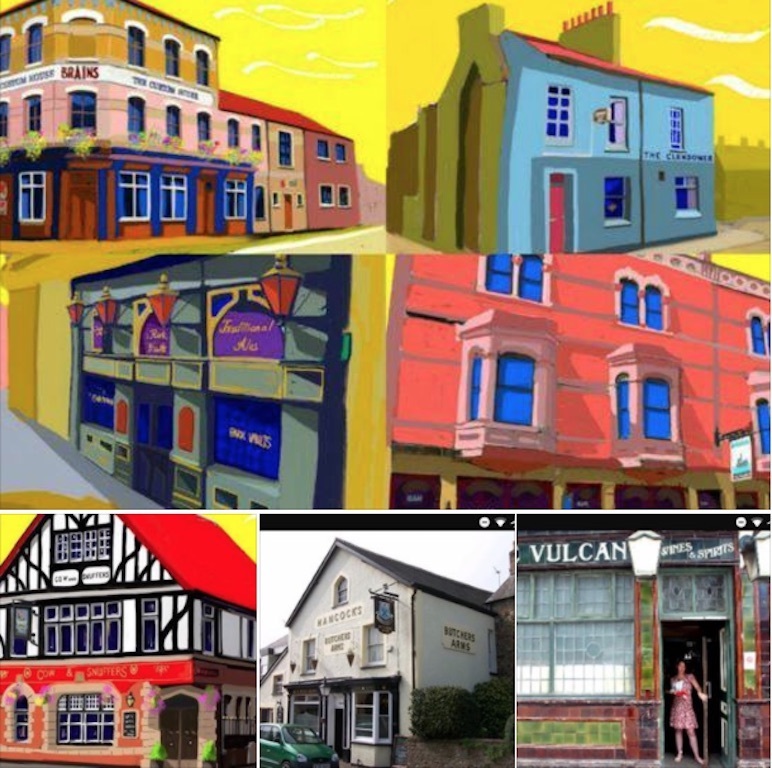 The S4C crew visited the locations of several of the Pubs Christopher completed portraits on, and merged their shots to images of Chris’ works. Presenter Rhodri L Davies interviewed Christopher at the Waterloo Tearooms, Roath Cardiff at his launch evening on the 2nd August. The report featured Christopher’s Cardiff Pubs Series, which was hosted by Tim Hartley. Tim said: The pubs are architectural treasures and are an integral part of our communities. Buy they are disappearing from the landscape. I discuss Cardiff’s ancient pubs through the pictures of Chris Langley on Heno at 7pm. Cardiff’s old pubs are part of our history and are real community assets. 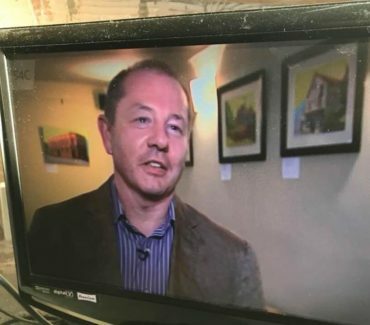 I’ll be talking about the Vulcan, Golden Cross and Llandaf’s very own Butchers Arms through Chris Langley’s superb paintings on S4C’s Heno at 7pm tonight. Christopher is in demand by private individuals and companies for commissions and consultancy where he will be happy to visit your home or business on request, and work with you to find the best concept and location for your painting. Maen nhw'n drysorau pensaernïol ac yn rhan annatod o'n cymunedau. Ind mae'n nhw'n diflannu o'r turn. Rwy'n trafod tafarndai hynafol Caerdydd drwy luniau Chris Langley ar Heno am 7pm.